Product contains wheat. 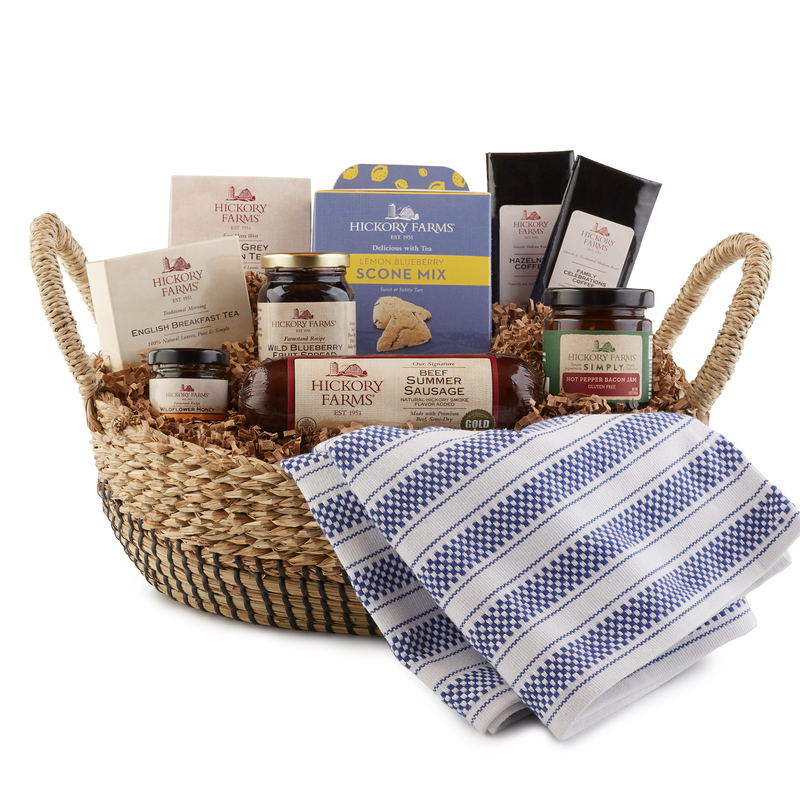 Produced in a facility that also processes milk, egg, soy, peanuts, tree nuts, fish. 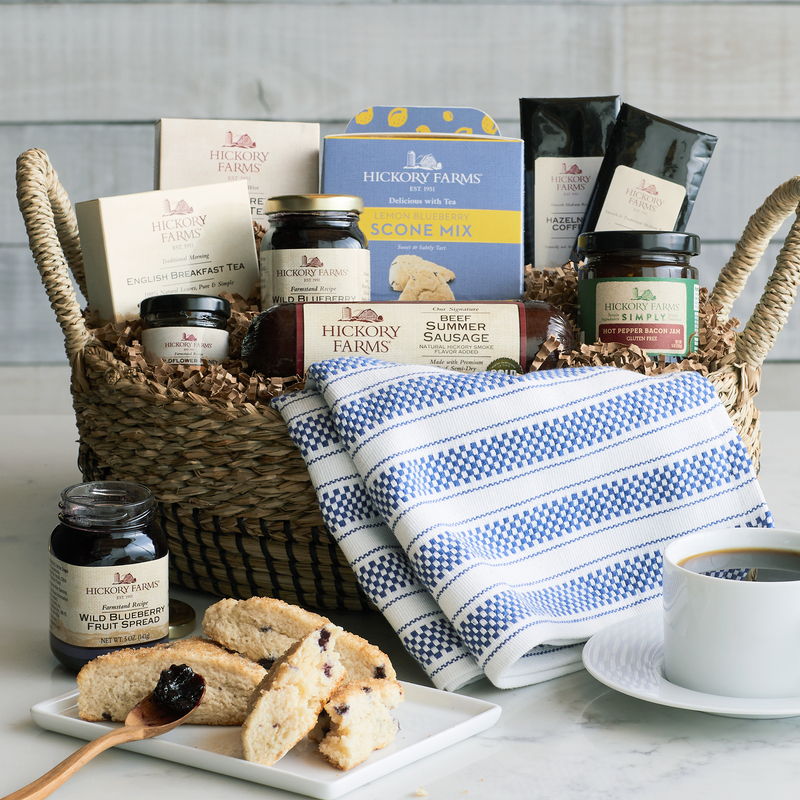 Everyone loves brunch, and this gift is filled with gourmet favorites! 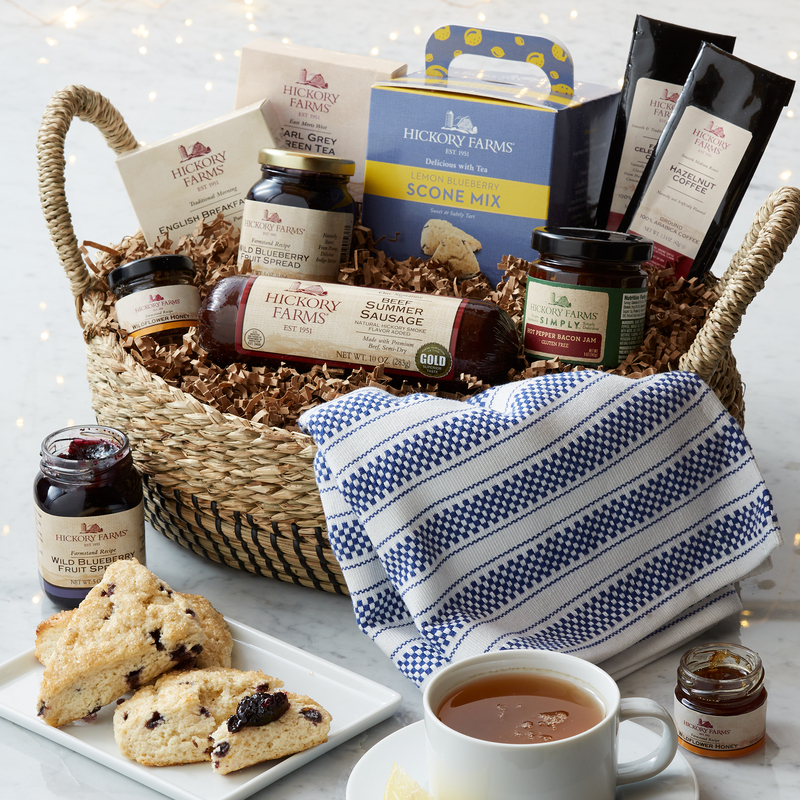 It features sweet and savory flavors for creating a delicious brunch spread right at home, like fruit preserves, scone mix, tea, honey, coffee, sausage, and cheese, all carefully packed in a chic reusable basket with a pretty tea towel.